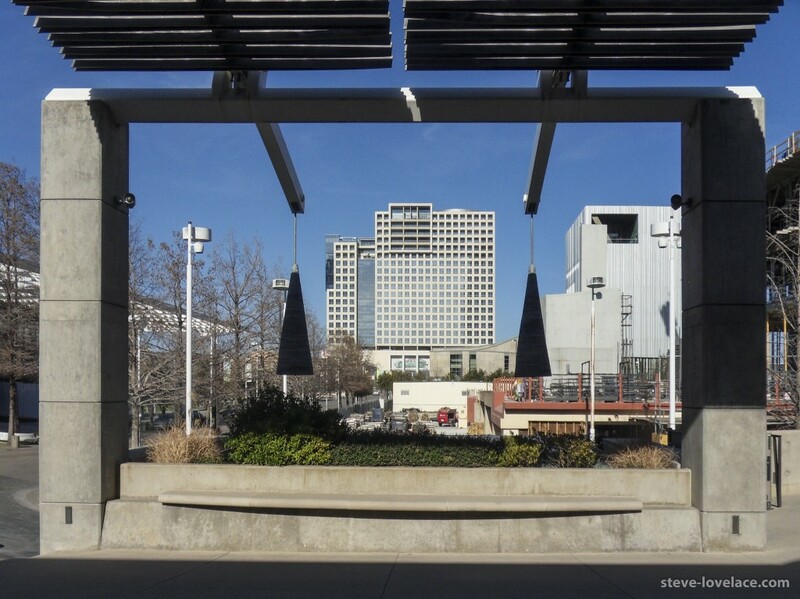 The Dallas Arts District is a small area on the northeast corner of Downtown Dallas. Though it was first envisioned in the late 1970s, most of the buildings have been erected in the last decade or so, as a concerted effort to bring culture and art to the city. 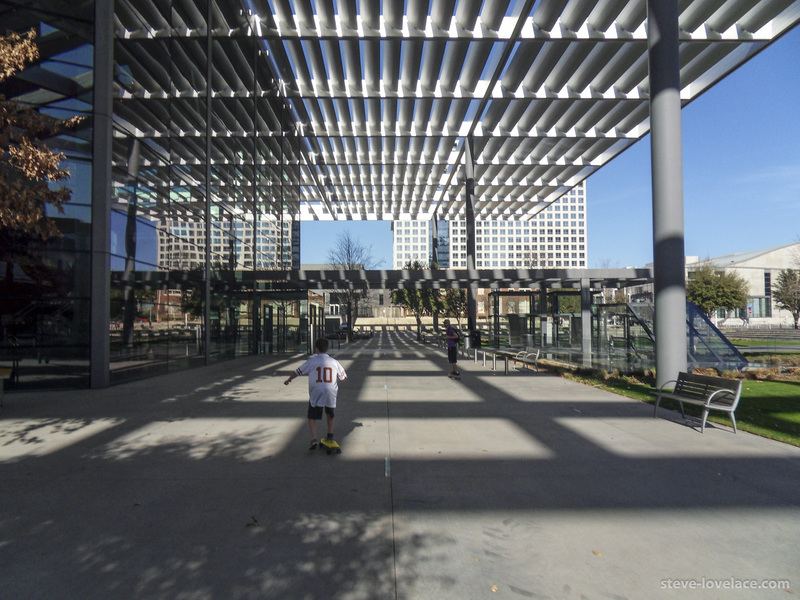 Recently, after going to Klyde Warren Park for a food truck lunch with my friends, I walked through the Dallas Arts District and snapped these photos of the monumental buildings contained within. The Arts District has some awesome examples of contemporary architecture, and despite the empty streets you see at three in the afternoon, it can get quite popular and crowded on a Saturday night. 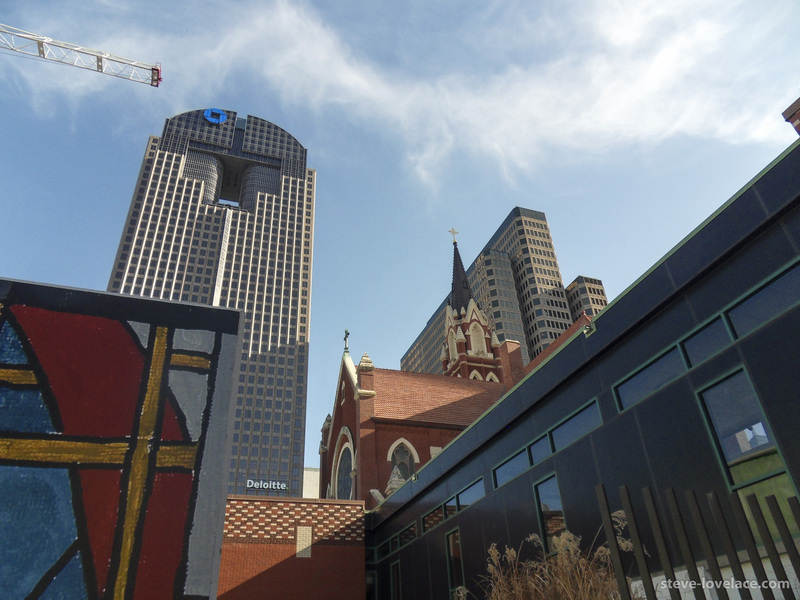 If you’re ever looking for something to in Dallas, other than eating or shopping, I highly recommend the Arts District. I don’t know if this is a light, a bell, or a beehive. 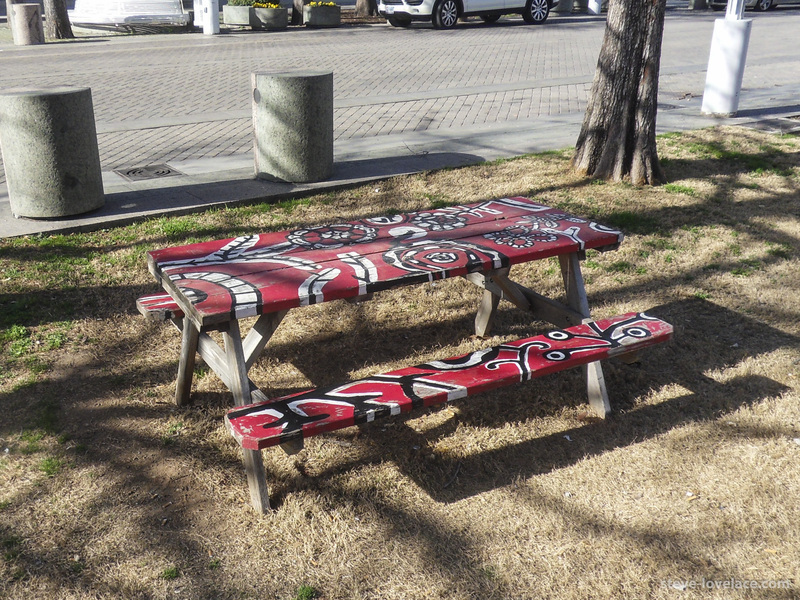 Even the picnic tables are decorative. 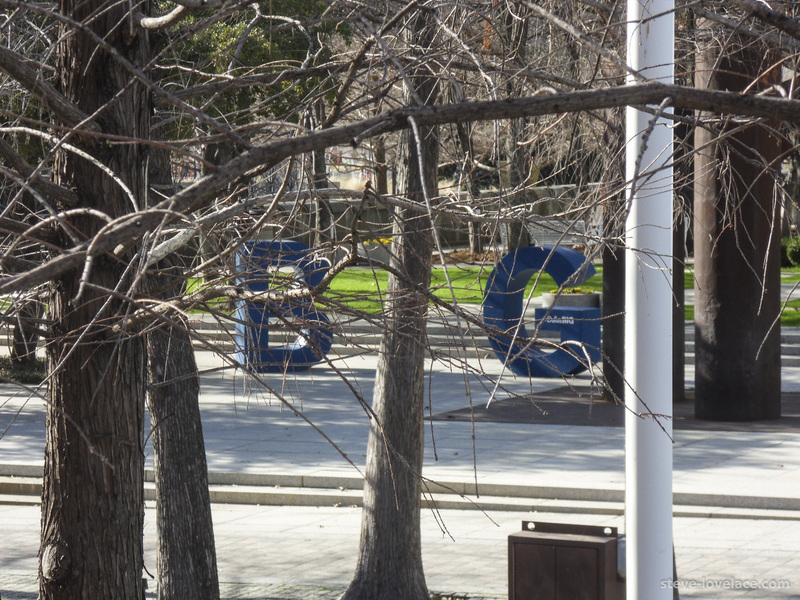 “Big Things Happen Here” is the city’s ad slogan, though there’s no BIG sculpture in Dealey Plaza. 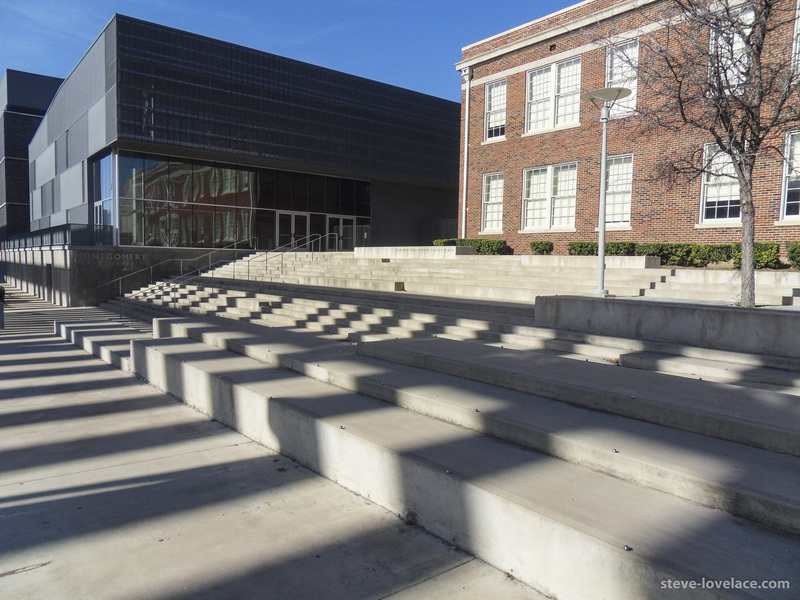 Booker T. Washington High, the city’s arts magnet school. 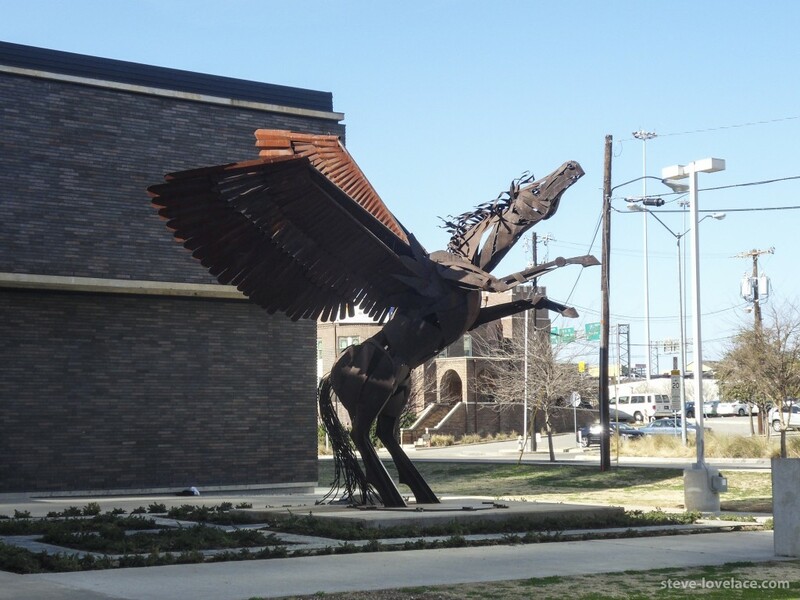 Awesome Pegasus sculpture in front of the high school. 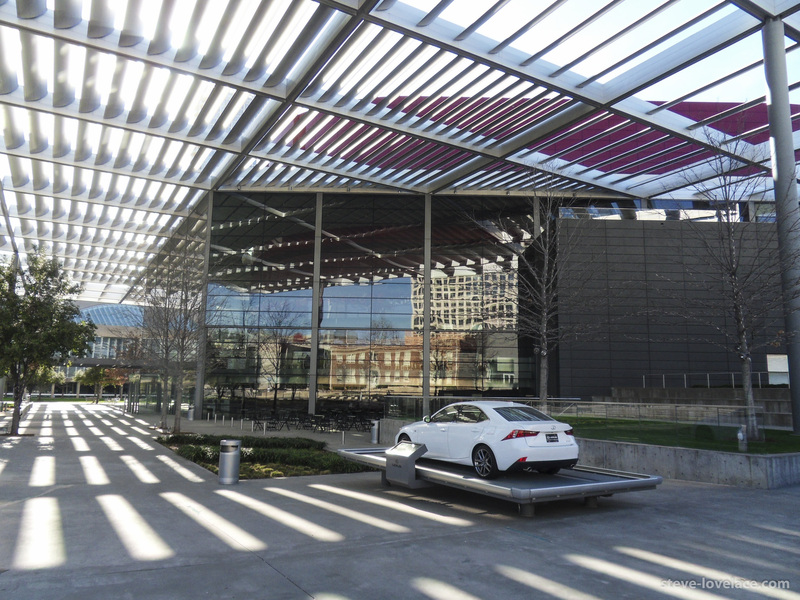 Outside Winspear Opera House. There were random cars parked around the place as part of a promotion. 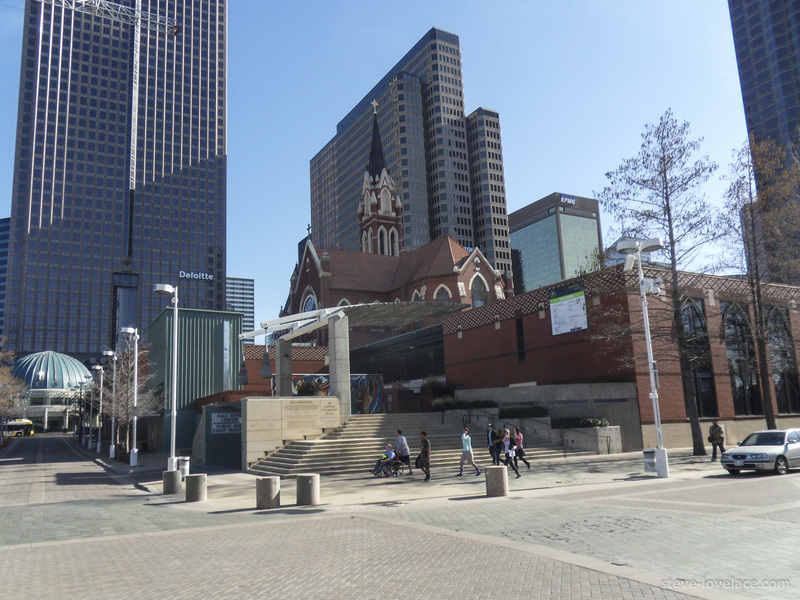 Lots of big buildings in the Dallas Arts District. 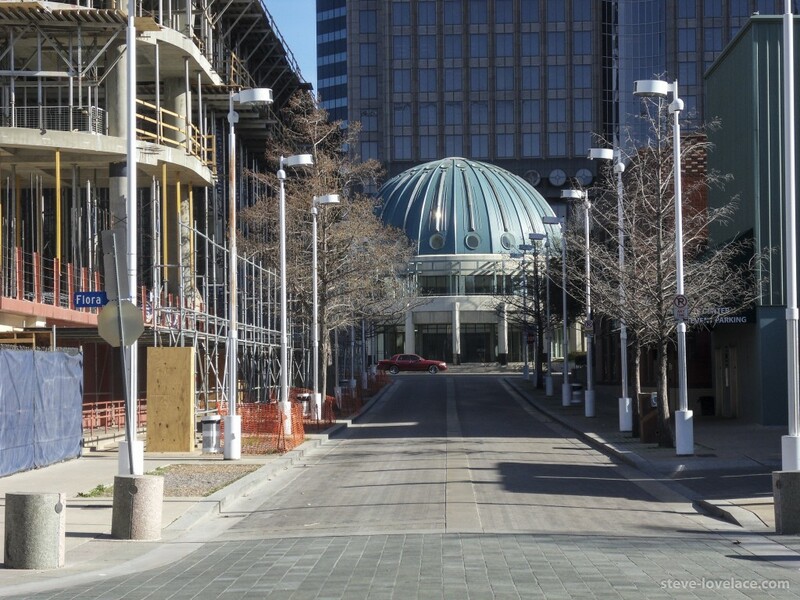 Dallas needs more of these shady overhangs. I never get tired of looking at the Dallas skyline. 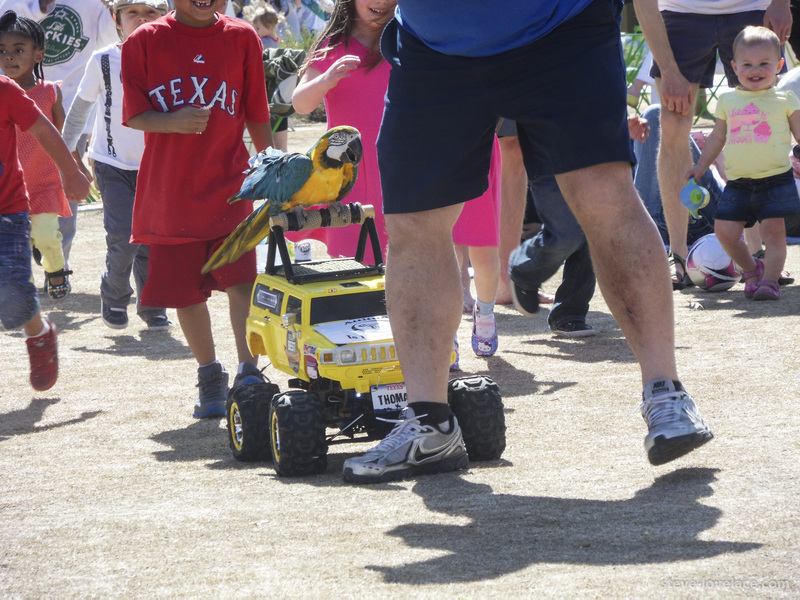 A parrot driving a truck at the nearby Klyde Warren Park. 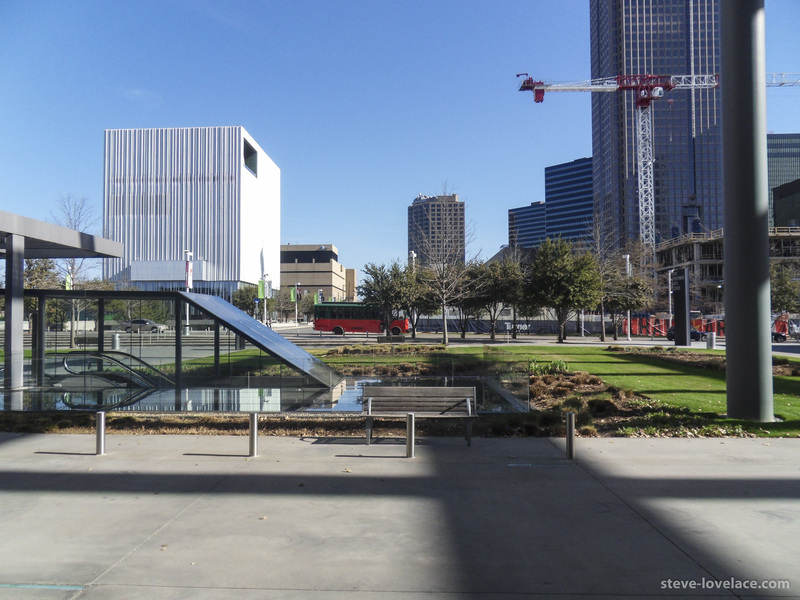 Have you been to the Dallas Arts Distict? 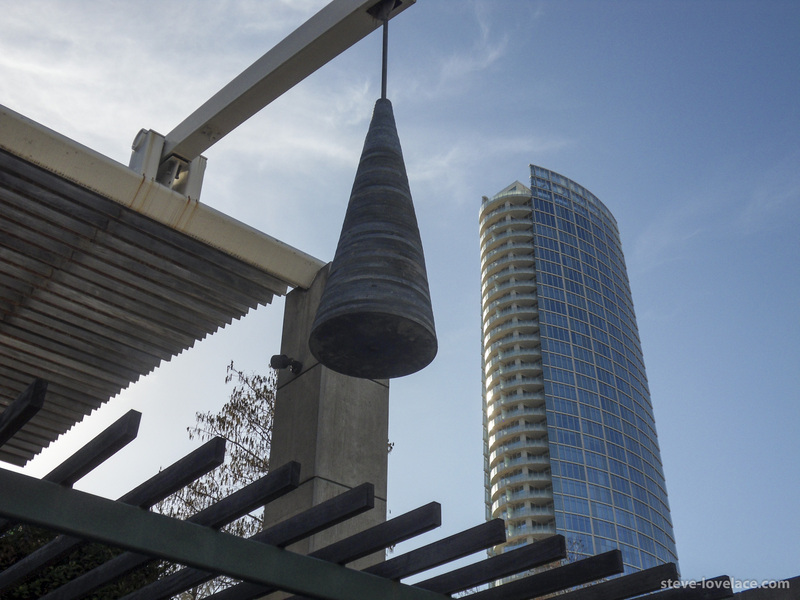 How do you think it compares to the Bishop Arts District in Oak Cliff? Let me know your thoughts in the comment section.